The Cape May County Zoo was once the region’s best-kept secret. Tucked away on a quiet 85-acre stretch of Route 9 in Middle Township, hidden among stands of scrubby pine trees and native flora, the zoo at the county park was always loved by locals, but for tourists, remained an afterthought—a place to take the kids on non-beach days. As zoos go, it didn’t have much of a reputation; heck, the place didn’t even charge admission. That all started to change in 2005, with the arrival of Vijay, a male snow leopard who was the Rudolf Valentino of his species. Vijay met his mate in a fetching female named Himani. Their love story would make headlines around the nation, and cause preservationists around the world to prick up their ears. 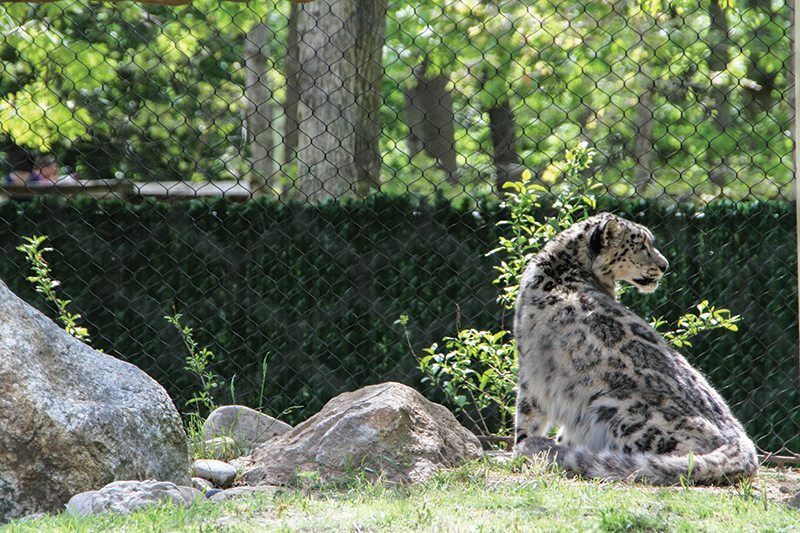 In 2010, Himani gave birth to two male cubs, named Sabu and Kaba, the first snow leopards ever born at the zoo. It was a bigger deal than many local zoo lovers realized. Healthy snow leopard litters are rare; fewer than a dozen cubs had been born and survived the previous year in the United States. That made the local birth more than newsworthy. As a tangible result of the Association of Zoos & Aquariums’ Species Survival Plan, it was a thrilling development. But Himani and Vijay weren’t done. Over the next three years, they produced three more litters, for a total of seven lively, rambunctious cubs. The multiple births made them one of the most successful breeding pairs in captivity. From relative obscurity, the once-humble county zoo started getting lots of attention. Tens of thousands of new visitors flocked to see the playful cubs, breaking attendance records in 2010 and every year since, according to Alex Ernst, associate veterinarian for the zoo. Vital is the word. Snow leopards once proliferated in the mountains of Central Asia, chiefly in China. Today, the leopards are said to number from 4,000 to less than 7,000 worldwide. They face threats from many quarters. Climate change is eradicating their natural habitat, and forcing them to higher elevations, where prey is harder to find. According to the organization Defenders of Wildlife, as humans claim more snow leopard territory for farming and livestock, they are killing the cats to protect their herds. And though snow leopards were added to the Endangered Species List in 1972, they continue to be hunted—illegally—for their lustrous spotted coats. 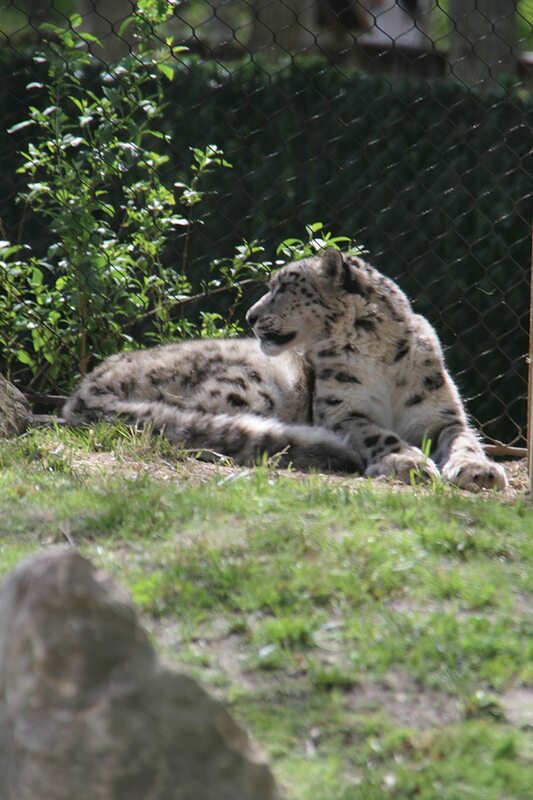 The snow leopards also were champions for their wild friends at the zoo. Crowds who flocked to see the cubs stayed to visit more than 500 other animals representing 250 species: from alpacas to zebras, from black bears to black howler monkeys, from giraffes and camels to bison and elk. The zoo also houses pandas, otters, and lemurs, among other animals, along with scores of reptiles and tortoises. The grounds and wooded walkways are populated by free-roaming peacocks and peahens, flamingos, and other exotic birds. The results have been nothing short of astounding. In 2012, TripAdvisor named the Cape May County Zoo the third best zoo in the nation; last year, the travel website named the local zoo the 13th best facility of its kind in the entire world. Snow leopards are not the only big cats on the premises. The county zoo also has two cheetahs; a clouded leopard, native to the Himalayas and prized for its extraordinary patterned coat; and two African lions, Lex and Bella. Those siblings arrived in 2014 following the death of 16-year old king of the jungle Brutu, whose mighty roar was said to be audible for miles around. Finally, there’s Rocky, a 15-year-old male Siberian tiger who was born at Great Adventure in Jackson Township, came to the county zoo as a one-year-old, and was hand-raised by zoo veterinarian Dr. Herbert Paluch. To keep them all purring, and to enhance the visitor experience, in recent years the zoo has undertaken a Big Cat Capital Campaign, which funded a new Snow Leopard House & Habitat that’s set to open this summer. The zoo’s website includes a rhapsodic description of the habitat that sounds almost like a real estate listing: the $500,000 facility includes a “nesting room and two spacious private dens for a pair of snow leopards and their future family. 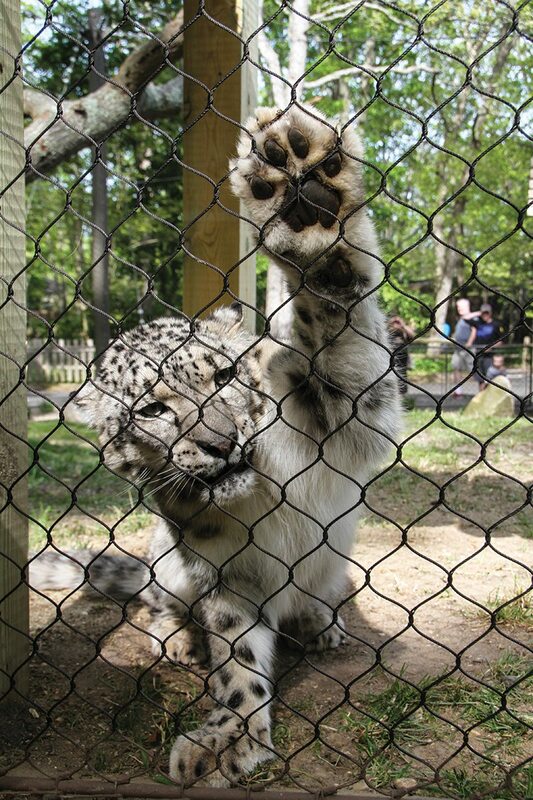 Health, safety, and comfort amenities—like HVAC—for the cats and the keepers are important features.” A 2,500-square-foot outdoor exhibit will be covered in “an almost-invisible steel mesh” so visitors can get safely up close and personal with the cats. 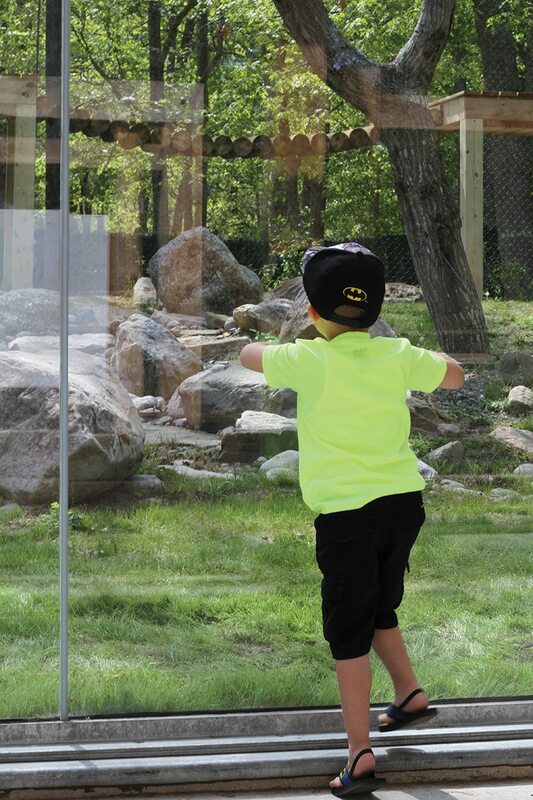 The habitat, named in honor of ZooFriend and major donor Walter Trettin, will include a holding den with a glassed viewing area, so visitors can have “a nose-to-nose, whisker-to-whisker viewing of the animals without obstruction,” Paluch has said. 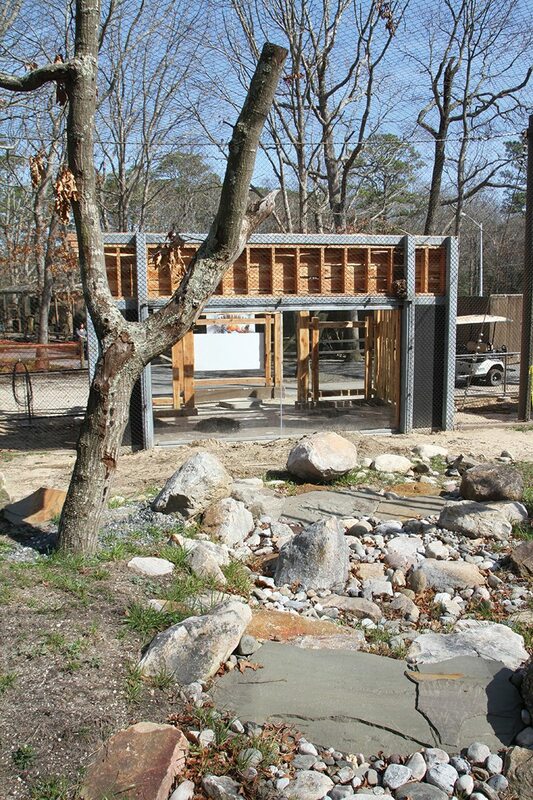 The zoo also recently finished a complete makeover of the lion habitat, and is planning major renovations of the cheetah and tiger habitats. 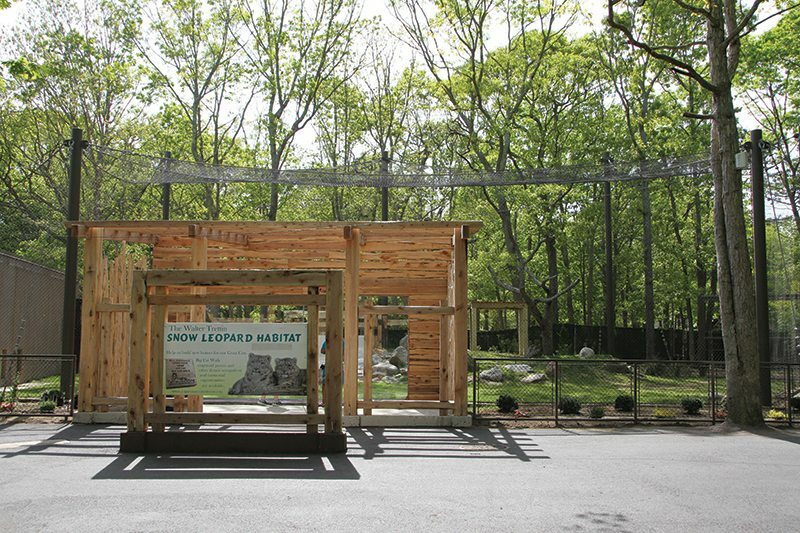 While lions and cheetahs may thrive in warm weather—both species are native to sub-Saharan Africa—how do snow leopards fare at close to sea level, especially in sweltering South Jersey summers? And how. 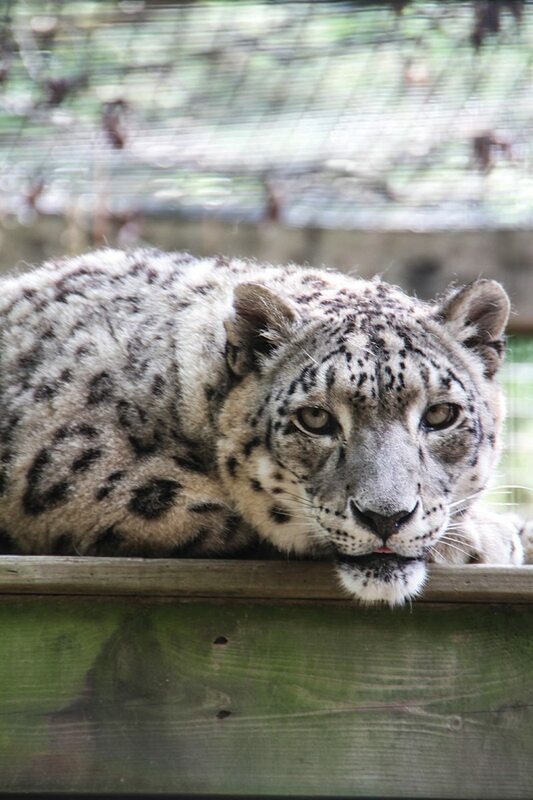 All seven of Vijay’s offspring with Himani have been relocated to zoos around the nation, in the hopes of creating the next generation of healthy snow leopards. Kaba now resides at the Seneca Park Zoo in Rochester, New York, with his mate, Princess. But it’s his litter mate, Sabu who has proven that the blood lines are strong. Last June, he and his mate, Sarani, produced their second litter of cubs, twin sisters named Malaya and Daania, at the Brookfield Zoo in Chicago. While Himani has retired, she’s not alone. Last year, the zoo imported another male and female of the species, in hopes that they, too will be fruitful and multiply. Tysa is three years old, and her prospective mate, Bitaar, is eight. Will zoo lovers soon be hearing the pitter-patter of little leopard paws? “Their mating season is in the winter months,” says Assistant Parks Director Jean Whalen, noting that females typically come into season from January through March, with cubs born in the summer. Unless the zoo is playing it cagey and a new bundle of joy is imminent, fans may have to wait until next spring. Until then, the zoo continues to enjoy its well-deserved recognition. From the best-kept secret in Cape May County, it’s become a must-see attraction.